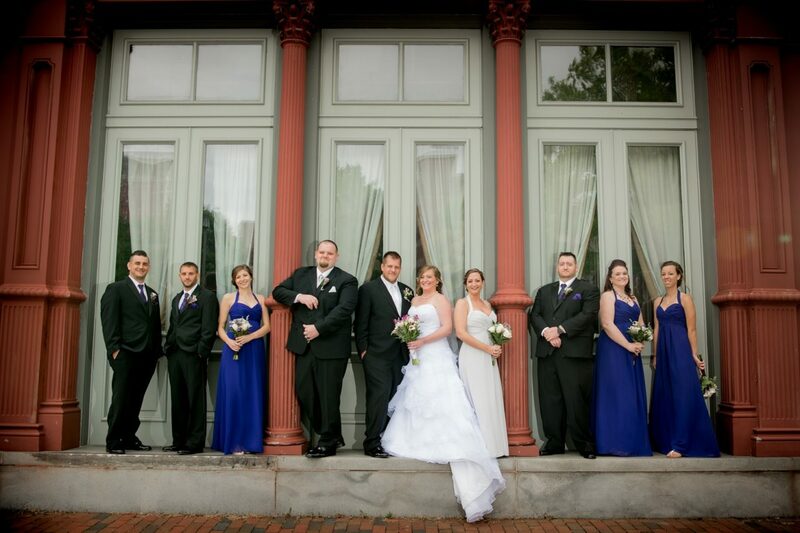 The staff at Zeffert and Gold, Baltimore’s Choice for wedding catering, LOVE when we receive wedding albums! 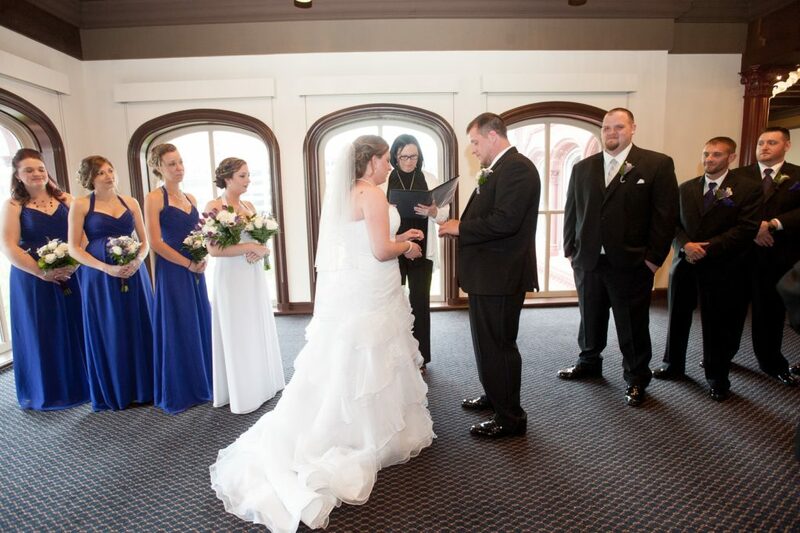 Crystal Whitman was kind enough to share her album from Katie and Chester’s wedding at the 1840’s Ballroom, and we are thrilled to share the memories with you. A little rain did not discourage the happy couple. 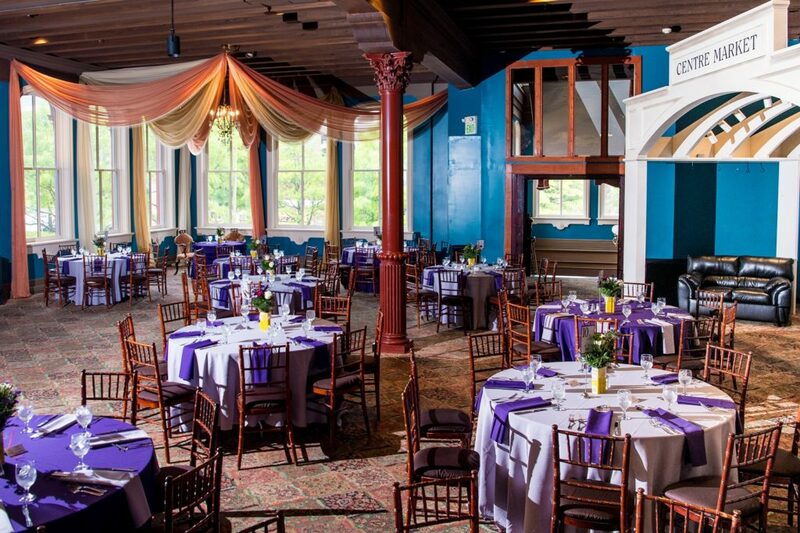 At 1840’s Ballroom, there are so many great rain plans! 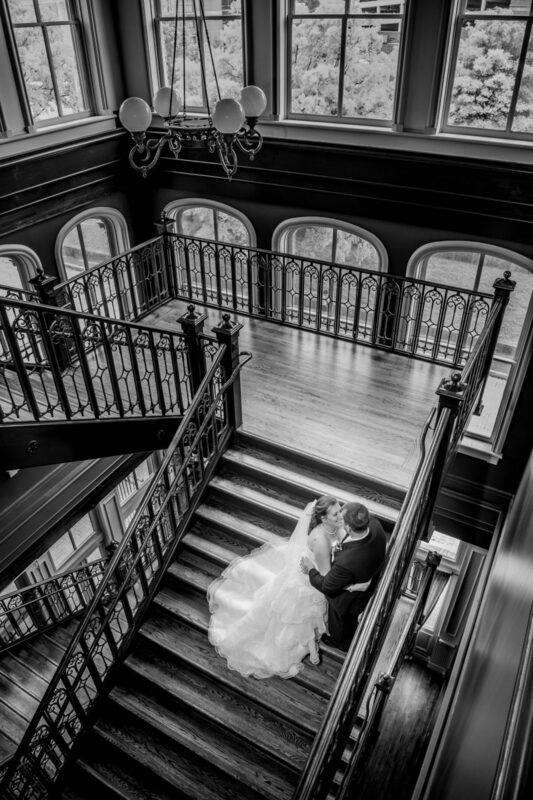 Katie and Chester chose the Ballroom for their ceremony. The large windows overlooking Baltimore were a gorgeous backdrop. Cocktail Hour took place on the first floor “1840’s Cabaret”. With rich a Mahogany bar and vibrant colors, this space was originally intended to be a Tango Club. How fun! Next, guests ascended the grand staircase (AMAZING photo spot) to the 1840’s City Lites. Greeted with Zeffert and Gold’s Signature Caesar Salad, pre-placed for each guest. Tables alternated in color between Silver and Purple. Add this to the Baltimore themed murals on the walls, the room looked stunning! For dinner, staff welcomed guests by table to the carving buffet. Eastern Shore Chicken (stuffed with Maryland crab meat and cornbread) and House Marinated Flank Steak (carved to order) were big hits. To accompany these: Triple Roast of Yukon Gold, Red Bliss, and Sweet Potatoes, as well as Garlic and Olive Oil Sautéed Green Beans. 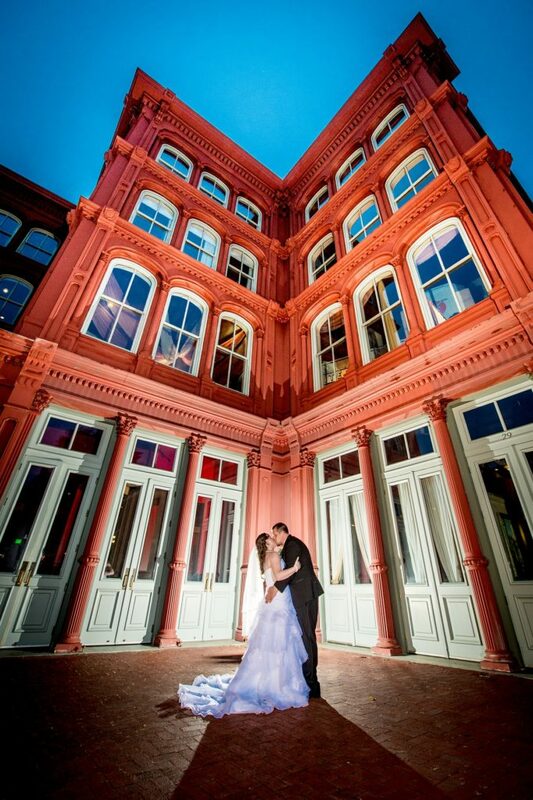 1840’s City Lites is a great location if you and your loved ones like to get your groove on the dance floor. A built in DJ booth and huge dance space, Katie and Chester’s friends and family definitely came to dance! Again, Crystal Whitman did an incredible job capturing the love and energy of the evening! These pictures are amazing! Katie and Chester, you were a pleasure to work with! You are every planner’s dream couple! 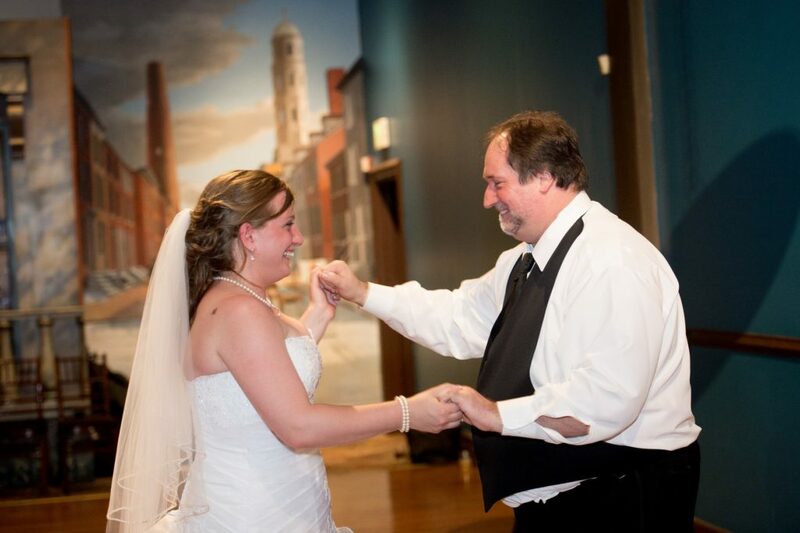 Thank you for choosing Zeffert and Gold Wedding Catering for your big day! We wish you a lifetime of happiness! Error: Error validating access token: Session has expired on Friday, 12-Apr-19 20:42:14 PDT. The current time is Thursday, 18-Apr-19 06:10:57 PDT.